Believe me, I’m STILL on break. I want to get this out first. 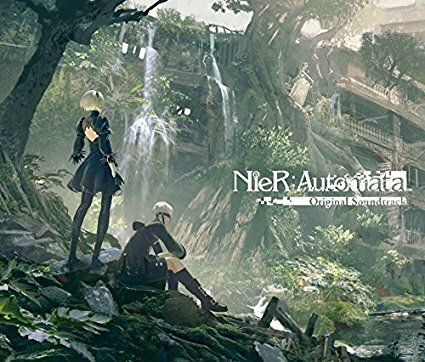 Recently I’ve been watching Nier:Automata gameplays on YouTube (I can’t play games *lol*). I first knew this game because artists I follow on Twitter had done a lot of artworks about the protagonists of the series – 2B and 9S (you would probably see 2B artworks more often). I had the impression like: “What is this alternate universe version of Youmu?”. Welp, maybe I’m the only one who mistaken 2B and Youmu… That’s for another story. About the translation, I’m assuming that the song is from 2B’s perspective talking to 9S (this is just my interpretation). I put my effort to it, it turns out what I want~ about 80%. And my body ceases to function. Even now, the sky is dark. And the machinery has gone quiet. My voice will not reach You. Giọng nói của tôi sẽ không chạm được đến cậu. A song for the ruined world. Your smiling face from those days vanishes while it is still beautiful. The wind is still so distant. In a forest in which death lurks. Những sinh mệnh, đánh mất. Giờ đây, cơn gió xa xăm. Trong khu rừng rình rập cái chết. Is a curse upon me. Our love for the tainted world. For more time with You. My sinking consciousness fades away while it is still so gentle.